Even more impressive are the reports out of Newfoundland, where hundreds of Snowy Owls are being reported. Can you even imagine hundreds of Snowy Owls? I certainly can’t. If you want to keep up with what is going on up there you can do worse than The Bruce Mactavish Newfoundland Birding Blog. Personally, I saw six Snowy Owls this past weekend in three different counties, which is pretty freaking cool, and more than enough to blow my mind. If I were in Newfoundland I would probably be going crazy. A map, adapted from eBird, showing where Snowy Owls have been reported in the eastern United States in November of 2013. 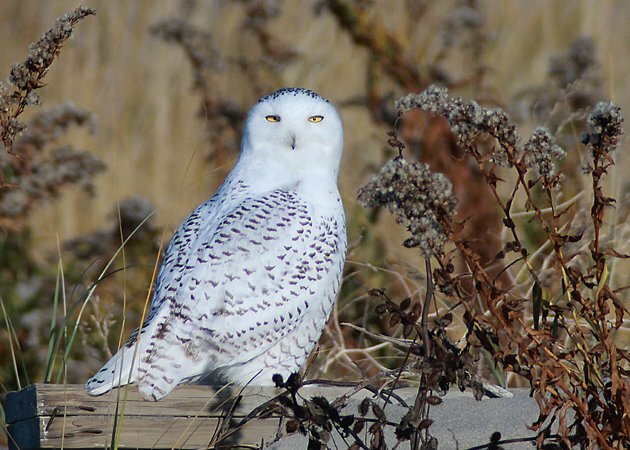 How far south will Snowy Owls be found this winter? Will the irruption become larger and include more than the eastern seaboard and the Great Lakes? Stay tuned and get out there looking! Want more Snowy Owl goodness? Check out David’s examination of which genus they belong in. It is a bit of mystery to me, as there were not a lot of lemmings this year, they are still rebounding from 2011. 2011 irruption was from a good lemming year, 2012 mini irruption makes sense because a healthy population returned north and found food scarce. This year? I have zero idea what is going on. At least part of the population normally winters at polynas. I wonder if something is going on with them this season. Weird. I wonder if this has anything to do with climate change. Hi. I have been searching and searching to find a pic of the bird I saw. 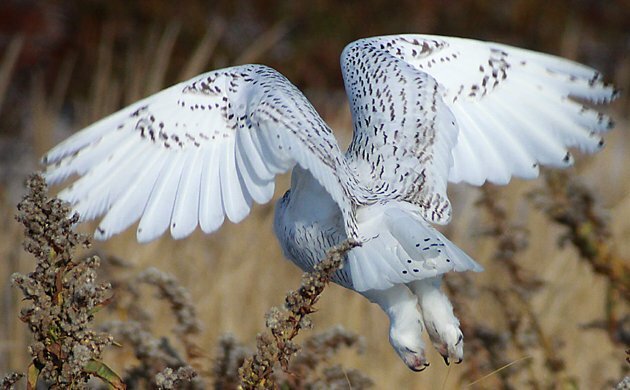 I knew it wasn’t a hawk and it didn’t look like any of the owls that are indigenous to VA. And saw these and other pics of these young snowy owls and this is definitely what I saw. Up close and personal. It was a definite God moment. I live in Glen Allen VA, right next to Richmond. I will now keep a fierce lookout for him in case he is still in the area. This time will have camera ready. Any information or advice is appreciated. Thank you. I have been birding all my life but over the past 2 years I have gotten serious about it. 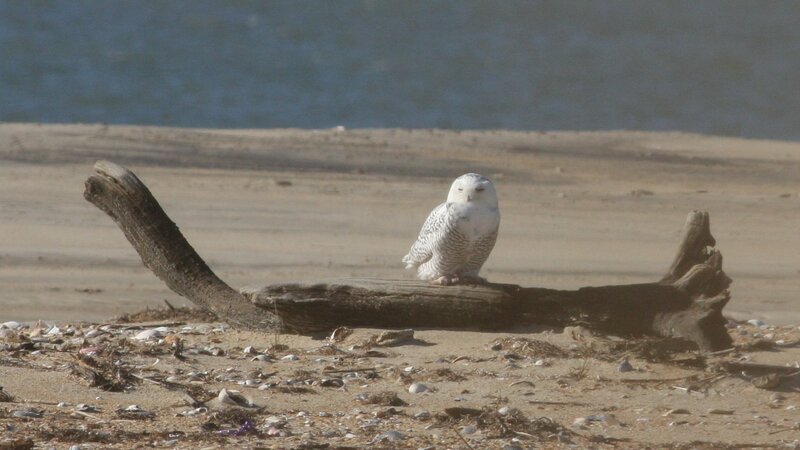 I live in Maryland and will now start to keep on the look out for the Snowy Owl. It’s #1 on my list. Great shot by the way. Thanks, James! And I would recommend the “Explore Data” tab on eBird – that should give you a pretty good idea as to where to look. As somebody who spent yesterday driving around nearly the entire Fort Edward IBA (within the Hudson-Mohawk boundaries) desperately looking for even just one of these guys without a single one and almost nothing else, and then popping over on an IBA road again today with nothing, I’m so jealous. Soooooo, so jealous. They need to come hang out on my home turf! If it makes you feel any better I dipped on the Sandhill Cranes last week. Keep looking – you’re bound to find one soon! Oh no! I would be tempted to drown my birding sorrows at the Klamsteam! I’ll be back out to the IBA soon enough! Wow Corey! Are these your shots? Superb! They are – I got really lucky with a couple of birds on the beach. The fishermen were all glad to look through my scope too. Hoping they come back to Seattle this year, too. We had three urban Snowies stay the winter on neighbors’ rooftops in 2012/13. Beautiful shots, Corey! And thanks for the heads up on where they’ve been found. Thanks, Ingrid. And it’s weird how this irruption has almost entirely avoided the west coast this year. Corey, I would like to add that another Snowy Owl has been spotted near Raleigh today. That makes 3 for North Carolina all in one day, the last sighting before this week was 2001! Excuse me, the owl was actually NOT seen today after more searching today, but at least yesterday (12/2/13), NC had a 3 Snowy Owl day! It’s a good week to be a North Carolina birder! It sure is! 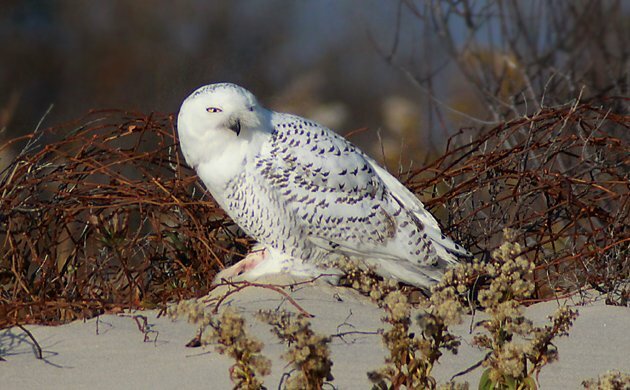 Another Snowy was also discovered yesterday at Cape Romaine Refuge (SC), which is, as far as I can tell, only the second record for South Carolina! Your photos are magnificent. I wish that I could see these visitors in person. Please keep me posted. Going out tomorrow morning along the western Connecticut coast line to try our luck. Saw my first snowy owl today (12/15/2013). I was returning to my apartment (roughly 39°38’17.10″N by 79°56’17.63″W) from shopping at 4:30pm, and as I exited my car I spotted something large and pure white in a bare tree approx. 120 yards away. I got my binoculars (16x32mm roof prism) and went out on my back deck, where I observed it for 15 minutes. It was an adult male, casually scanning for prey from its perch 30 feet up. The tree is in a lightly wooded and meadowed space of several acres, which are commonplace in this area of northern West Virginia (in Morgantown city limits). I had no camera capable of taking a photo. Corey: What terrific shots of Showy Snowys! We have several that frequent the Montrose Harbor area on the north side of Chicago. I was there this past weekend and spotted 2 of the reported 4. My shots pale by comparison of your beautys. I saw a snowy owl flying over the town of North Bergen NJ last Monday at about 8:AM. I was driving and at first look I thought I was seeing a sea gull, for it was pure white. Then I notice the big round body and the shorter wing span, with a faster wing beat than seagulls. Never thought I would see one in an urban area. Where Are You Birding This First Weekend of November 2009?